One of the most important aspects of precision reloading is setting the shoulder bump during the full-length (FL) sizing process. You want the amount of “bump” to be precise and identical for every loaded round. However, when you switch brands of brass you may need to change the die position to get the desired bump and case body sizing. 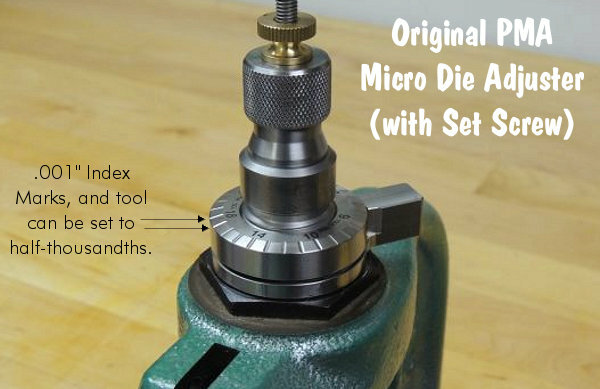 And even with the same brand of brass, you may find that you need to adjust your FL die as the number of brass load cycles increases. Brass that has been fired many times will behave differently than new or near-new brass. Also, even with the same cartridge type, brass loaded for a semi-auto rifle may need more bump than brass fired in a bolt gun. For example, with .223 Rem ammo, you’ll normally want to push the shoulder back farther if the ammo will be shot in a AR15 as opposed to a bolt-action rig. Wouldn’t it be great if you could precisely adjust your FL die up and down in half-thousandth increments, with a simple indexed click. 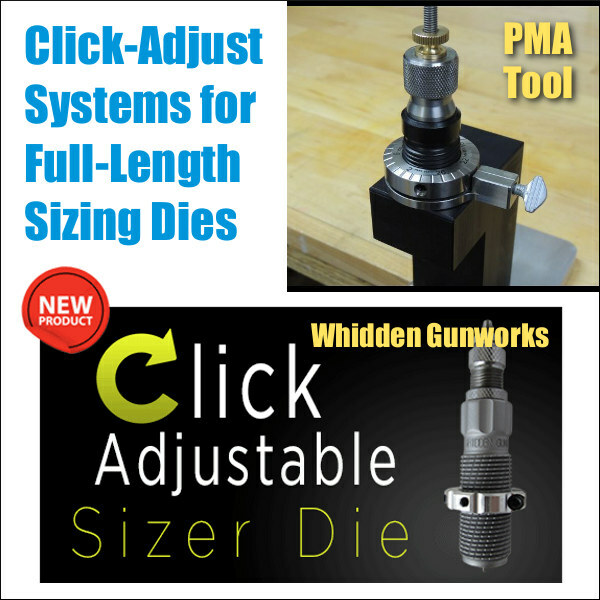 That is now possible with products offered by PMA Tool and Whidden Gunworks. 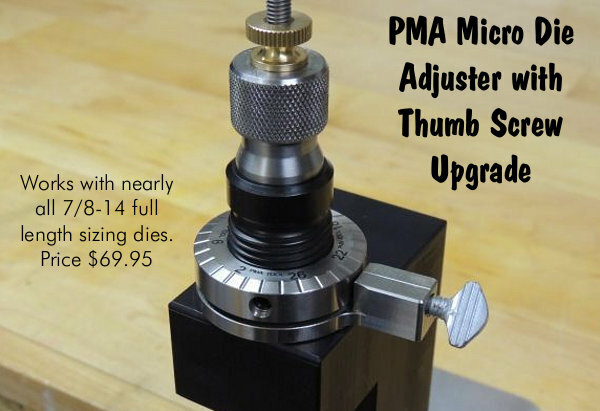 PMA Tool offers a Micro-Die Adjuster that replaces your existing lock ring and can be used with nearly any 7/8-14 full length sizing die. The engraved marks correspond to approximately .001″ of shoulder bump adjustment. Splitting the engraved marks is therefore approximately equal to .0005″ (half a thousandth). Users love this product, saying it adds precision and saves time. 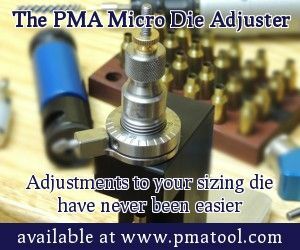 Share the post "PMA Micro-Die Adjuster and Whidden Click-Adjustable FL Dies"